Tent City is an interactive installation that simulates a particular outdoor experience. Each tent is a potential mediated experience and an escape from the unrelenting schedule . Sacred gallery space is re-appropriated in this simulation of the outdoors. 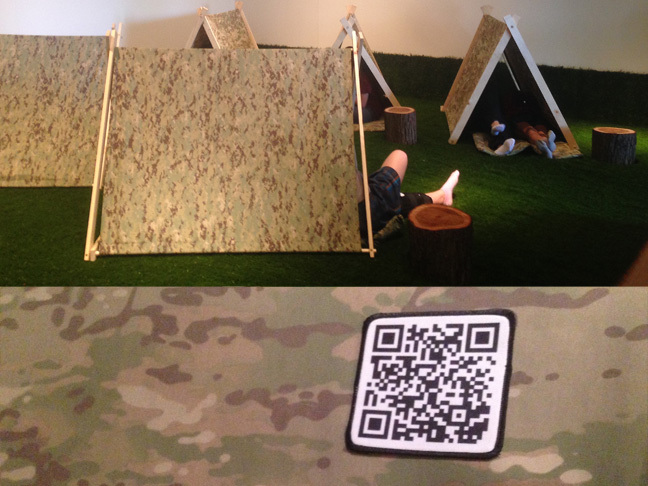 Visitors are invited to actively participate by crawling into a tent, scanning the QR code and be transported.